The semiconductor diode is the simplest semiconductor device and can be found in almost any electronic circuit. Diodes are manufactured with germanium and silicon (the most common). The N-channel JFET consists of a silicon bar of N-type semiconductor with two P type regions on both sides. 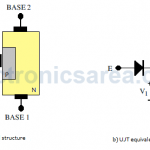 JFET is a tri-terminal device whose terminals are called drain, source and gate. 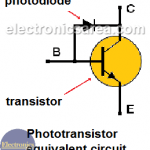 What is a Photodiode? Light Detector Diode. Photodiode looks similar to the common LED, but it has a feature that makes it very special. It is a device that converts light into electric current. – As a phototransistor, using the light that illuminates this element and that acts as the base current. (IP). 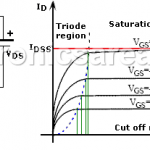 Triac is a semiconductor device that belongs to the family of thyristor control devices. It is essentially two SCR connected in parallel and backwards, sharing the same gate. The UJT or Unijunction transistor is constituted by two polluted regions, with three external terminals: two bases and one emitter. The SBS – Silicon Bidirectional Switch is a symmetrical low power device used on trigger applications. The SBS is more versatile than the SIDAC. It also has an additional terminal, which allows you to modify its trigger characteristics with small pulses of current. Field effect transistor or FET is a particularly interesting transistor and it can be of two types: the Junction Field Effect Transistor or JFET and the Metal-Oxide Semiconductor Field Effect Transistor (MOSFET).